Pure LSD is derived from a fungus that grows on the rye plant (yes, the same rye flour of which is used to bake rye bread). However, don’t make the mistake of thinking LSD and this fungus are the same; in fact, rye ergot can be fatal! 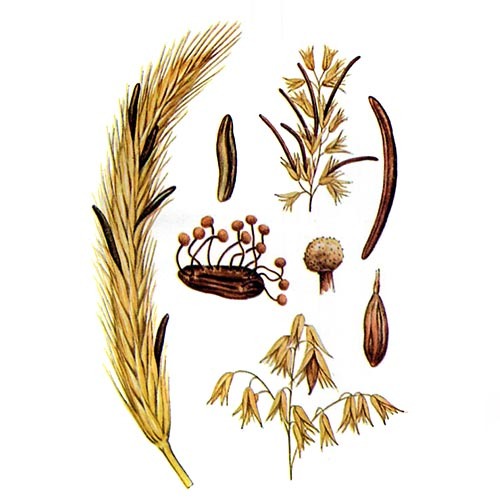 This [ergot] fungus has been known for hundreds of years and was used successfully as a treatment for reducing blood loss during child-birth. In the wrong dose, it could kill the mother; used correctly, save a life. It only only when ergot rye is precisely processed can it be turned into LSD which, is not only non-toxic, but has the added health-benefit of increasing communication between different areas of the brain by diversifying overall brain activity.